When you have a message you want to share with the world, finding a place on the web to type out your thoughts has never been easier. WordPress first debuted its blogging software in 2003, and as of December 2011, it has been downloaded more than 65 million times. Whether you plan to talk about human resources tactics, like nurse recruitment, health topics, or another subject matter, WordPress can have your blog up and running within minutes. 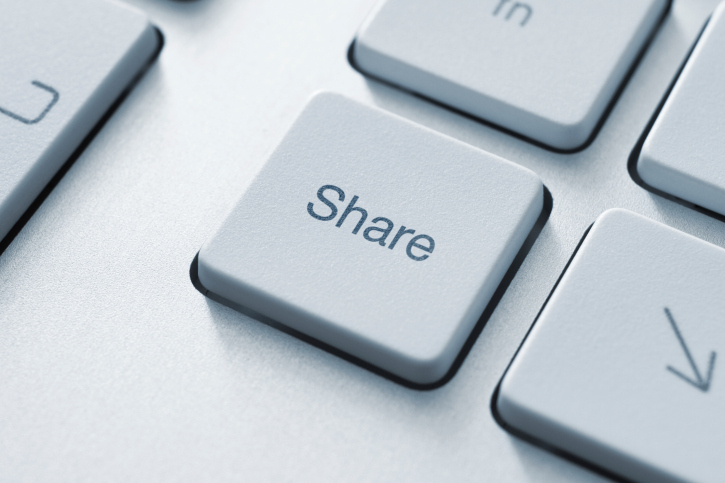 Share your ideas with the world by creating a WordPress blog. The free version also gives you less control and flexibility over the look and content of your site, as you must follow WordPress’s policies. Self-hosting the blog – meaning you use the WordPress software but another company to host the files – requires more Internet knowledge and effort to maintain, but also allows you to customize your blog to your own standards. No matter which route you choose, you’ll need a name for your blog. To make it simple for readers to find your blog, make the URL (also known as the domain name) similar or identical to the blog’s name. If self-hosting, this URL must be purchased through a separate provider; however, those using free hosting on WordPress just need to check to ensure the domain name is available. This step applies only to self-hosted blogs using the WordPress software. Install the WordPress software on your computer, a process that takes less than five minutes, and enter your hosting information. For those using free WordPress hosting, you simply need to create an account, and you’ll be taken straight to your dashboard, which is the launching pad for writing your blog entries. Don’t tear your hair out! WordPress blogs can be written anywhere you have an Internet connection and computer. A WordPress theme gives your blog its custom look. WordPress offers its own themes, typically for free, though you risk sharing the same look as another WordPress site. For a slightly more unique look, commercial themes can be purchased, or web designers can be hired to create a custom theme. Before falling in love with a certain theme, make sure it works for your blog – some themes are only available to self-hosted WordPress blogs. 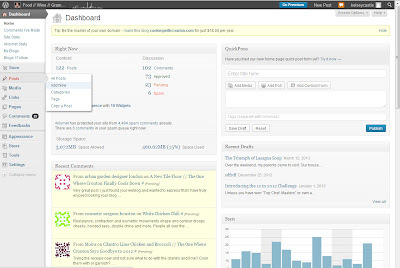 Log into the WordPress dashboard and navigate to the settings section. There, you can determine basic configurations, such as how many blog posts will be available on each page, if comments need to be approved before being visible, and what time zone will appear on each post. If you are self-hosting the blog and have coding knowledge, you can also go into the editor setting and make custom edits to change the visual appearance of the blog. A WordPress blog, whether free or self-hosted, should have a title at the top of the page, a sidebar that includes blog post categories or other information, and a footer. These sidebars, headers, and footers can be easily set up by navigating to the Widget page in the dashboard. Additionally, set up pages – these are static pages that do not fall off the homepage the way blog posts do. Sample pages topics could include an “about me” page or FAQs. Your WordPress blog is now ready to go live. 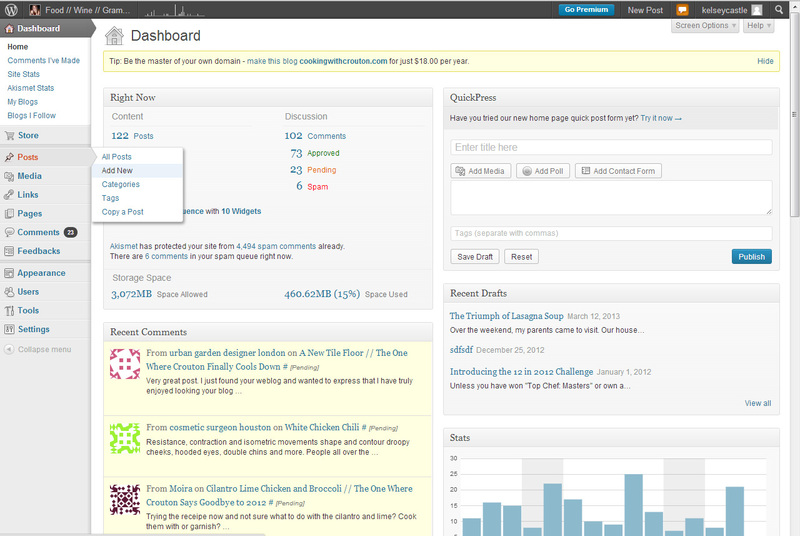 Write your first blog post by clicking on “add new” on the WordPress dashboard. Get typing, add some images, and hit “publish” – your message can now be shared with the Internet. While it might seem like creating a blog is complicated, WordPress makes the process simple. With your new blog, disseminating information and spreading your thoughts, no matter what the topic, is simple to do. Blogger vs. Wordpress: which is better?